Quidditch One Page HTML Template which will become a smart web cover either for your business or creative web projects. It consists of many useful modules, typography options and custom pages to make the customization process easier for you. With Quidditch you can set up your professional website in a jiffy. 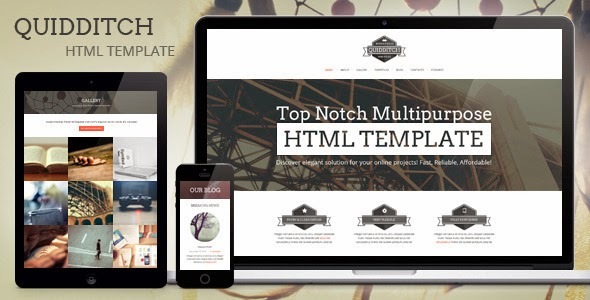 Item Reviewed: Quidditch One Page Responsive HTML Template 9 out of 10 based on 10 ratings. 9 user reviews.